The leaves may just be starting to change in Delaware, but the Fantasy Artists of Etsy have already created quite a bounty of fall tones. Andrea of Beadmask raked up fantasies in pale gold, amber, cinnamon and cocoa colors. Items bursting with harvest hues include a copper tree necklace, an autumn leaf tiara and my gold unicorn pendant. harvesting treasuries - what a great idea! 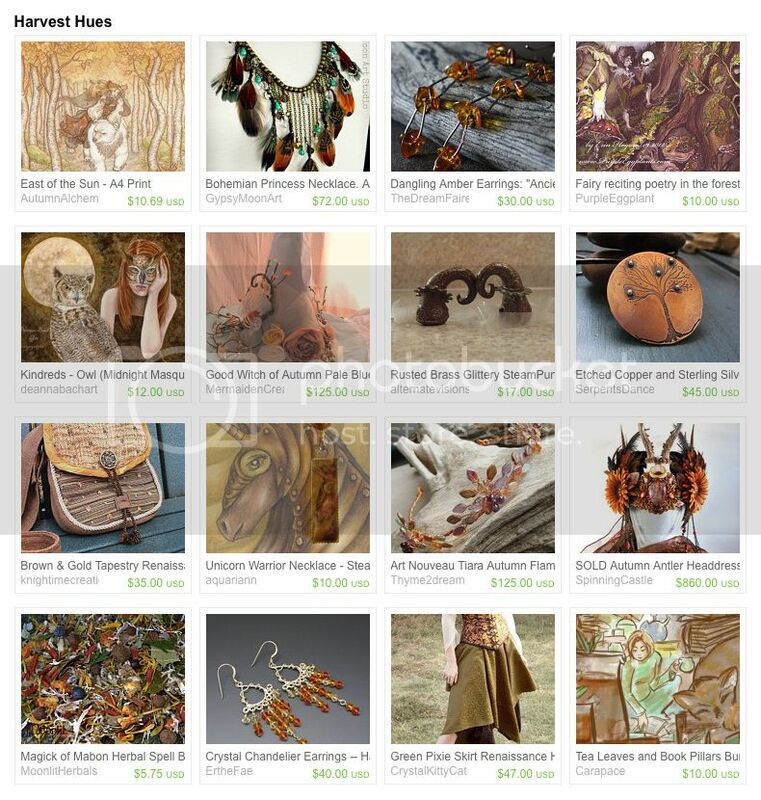 I love the Harvest Hues Treasury! I am a bit amused that I included one of the same pieces in my A Touch of Autumn collection. I love fall treasuries! Thanks for a great link up as always. Thanks so much for hosting this page. I am always amazed at everyones creativity.